Adam Fong was an original member of EAP/SFBA’s Steering Committee, Business Development Chair in 2010-11, and Director 2011-14. Adam is a cultural entrepreneur, and a composer, performer and producer of new music. In addition to EAP, he co-founded the Center for New Music in 2012, which serves the practitioners of creative, non-commercial music in San Francisco by providing resources including space to work, rehearse and perform, and access to a like-minded community. Adam received the MFA in Music Composition at California Institute of the Arts, where he studied with James Tenney and Wadada Leo Smith. As Associate Director of Other Minds (2006–2012), he produced the annual Other Minds Festival and led many special projects including CD issues, tribute concerts, and a composer fellowship. Fong’s own compositions have been performed internationally in Auckland, London, Berlin, Tübingen and Darmstadt, at many US universities, and throughout California. 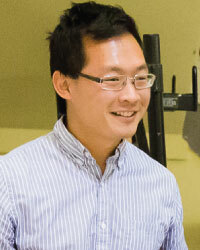 Fong also holds a master’s degree from Stanford University (English). He further serves the arts and his communities through numerous advisory boards, panels, and committees at the local and national level.